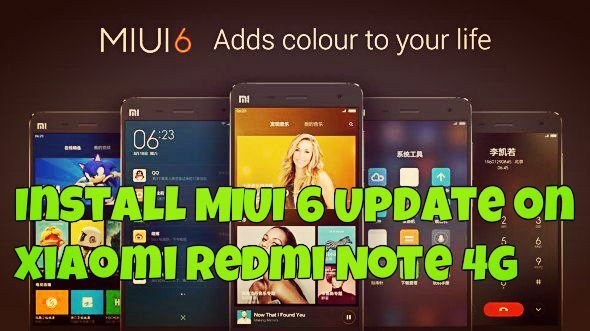 Good news for all Xiaomi Redmi Note LTE users, now the new stable MIUI 6 update is available for the download. The new update runs on the Android KitKat with lots of new features and improvements. Currently the updates is only available via manual update and very soon the Xiaomi Redmi Note 4G users will get this update via OTA. If you are the Xiaomi Redmi Note 4G users and don’t wait for the update and install the same manually on your device, here is the complete which you can follow on your Redmi Note 4G. The guide is pretty simple and take a few minutes to install the MIUI 6 update. This guide is only for the Redmi Note 4G users, don’t try this method on any of other Xiaomi devices. Before following this guide do take the full backup of your phone and save it in some safe place. After that read all the below mention instruction carefully and follow them step by step on your phone. Step 1. Download the stable MIUI 6 Update here and save it on your desktop. Step 2. Now connect your phone to the PC with USB cable and move the downloaded file on your phones downloaded_ROM folder. Step 3. Once the file is moved, disconnect your phone form the PC. Step 4. 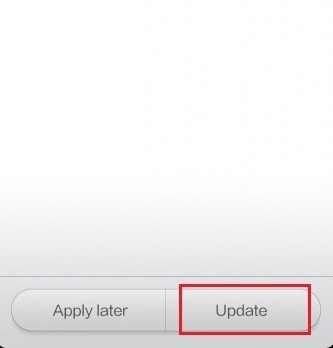 Now open the updater application on your phone, and click on menu button. 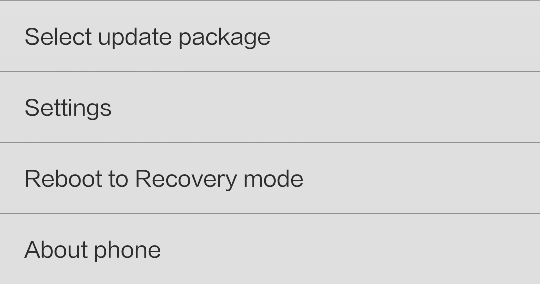 Here you will see the option “Select update package”. Step 5. Now browse for the MIUI zip file that you saved on your downloaded_ROM folder. Step 6. Now click on the Update button to start the flash process on your phone. Step 7. The process will take some time to complete, once done the phone will automatically reboot. Now you Xiaomi Redmi Note 4G is running on the MIUI 6. Sir can you please tell me how to move my apps to external sd card without rooting my redmi note 4g? Also when will lollipop be available on this? Will installing the update erase my app data..?